FULTON, NY – Harvey J. Seymour Jr., 83, of Fulton, passed away on Thursday, March 28, 2019, at St. Luke Residential Health Care Facility. Born in Volney, he was a son to the late Harvey Sr. and Catherine Brownell Seymour. 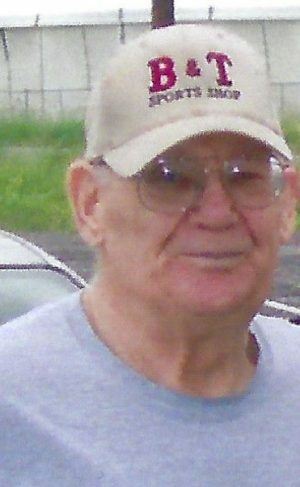 Harvey enjoyed hunting, fishing and was an avid NASCAR fan. He was predeceased by his daughter, Michelle Coant; and son, Harvey J. Seymour III. Surviving are his wife of 63 years, Mary Alice Niccoli; three children, Russell, Ernest Sr. and Mary Elizabeth; several grandchildren and great-grandchildren. As per Harvey’s wishes, there will be no calling hours or services. We are sorry to hear of Harvey’s passing.Our thoughts and prayers go out to his family ! RIP Bucky,what a great man and friend.Helped me a lot with my plumbing. Forced him to take money.Also a great costumer out to my dads archery shop for many years. Such a good man.God bless,your friend Roger Dunsmoor.